Moniways.com is a blog that was existing on blogger platform as www.moniways.blogspot.com but officially became moniways.com on Thursday 13th of December, 2012. Moniways started as a blog providing information on how to make money online and business tips but now it has become more like a multi-niche blog because we now provide information, tutorials and tips on how to make money online legitimately, business tips, technology, blogging tips, search engine optimization, social media and marketing. It has featured so many guest authors with quality articles and our major aim is to keep publishing good content that will benefit our readers and also add value to their lives because we love them so much and can’t do without them. 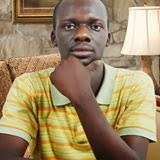 Moniways.com is owned by Daniel Chinaza Tochukwu also known as Danchito who has passion for writing articles and sharing ideas. You can call him entertainment freak because he likes listening to music and watching movies too. He graduated as a computer scientist at the University of Benin, Nigeria. You can easily contact him any time any day because he is always available and he is also on Facebook, Twitter, Google plus and Pinterest.